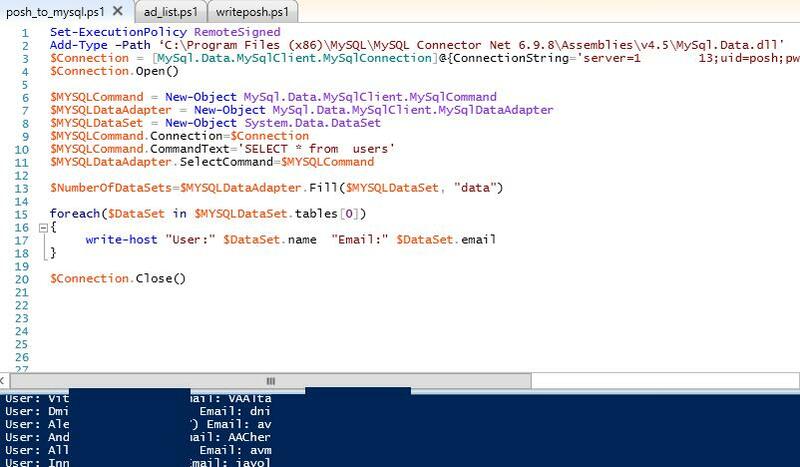 One of the useful PowerShell features is the opportunity to connect to databases on remote servers, including MySQL ones. Thus, you can address MySQL tables to access data directly from PowerShell console. In this article, we’ll deal with the examples of connection to MySQL DB from PowerShell script and some commands to read/write the data in database tables. To connect to a MySQL server, we need a special connector – MySQL .NET Connector, which can be downloaded from the official MySQL website. 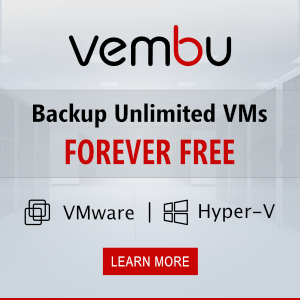 By the time this article has been written, the latest available connector version was Connector/Net 6.9.9. Note. It is not required to install the full version of MySQL .NET Connector, it’s enough to copy MySql.Data.dll to your computer. 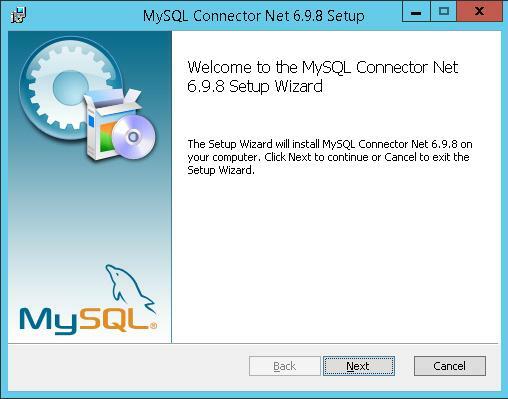 Download mysql-connector-net-6.9.9.msi and install MySQL .NET Connector in the minimal configuration. In advance, create a database to work with on your MySQL server. All operations on the database server are performed from MySQL CLI command prompt, but you can use a graphic tool phpmyadmin or any other suitable utility. And create the simplest table consisting from 3 columns: ID, AD username and e-mail address. Go back to the server, from which we’ll connect to the MySQL database. Suppose, we want all names and e-mail addresses of the AD users to be shown in the table. You can get this information using Get-ADUser cmdlet. 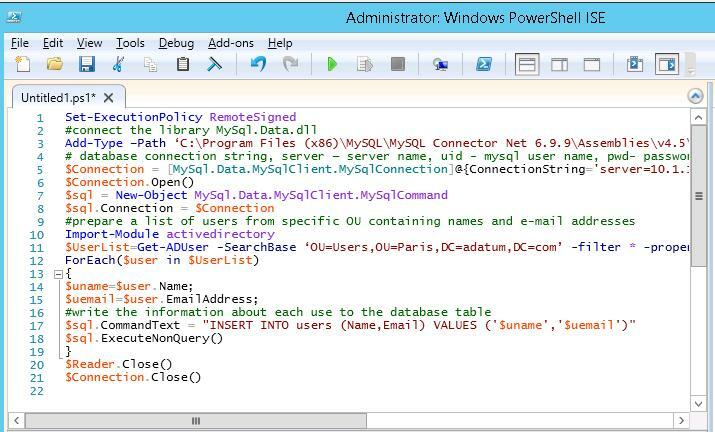 The following PowerShell script allows to connect to the database and write the list of users and their e-mails obtained from AD. $sql.CommandText = "INSERT INTO users (Name,Email) VALUES ('$uname','$uemail')"
In the next articles, we’ll consider the case of using MySQL database to collect and store information from Windows event logs ( Tracking Files Deletion using Audit Policy and MSSQL Database).